Transfer programs to new computer. Move your hard to find programs and their settings to new PC. It can install programs pre-configured with the same settings on several computers. 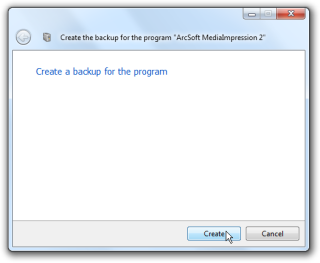 Make a backup copy with your basic set of must have programs. On Windows reinstall, save time on the installation and configuration of applications. Just restore the backup and you are ready. Why Total Uninstall stand out from the crowd? 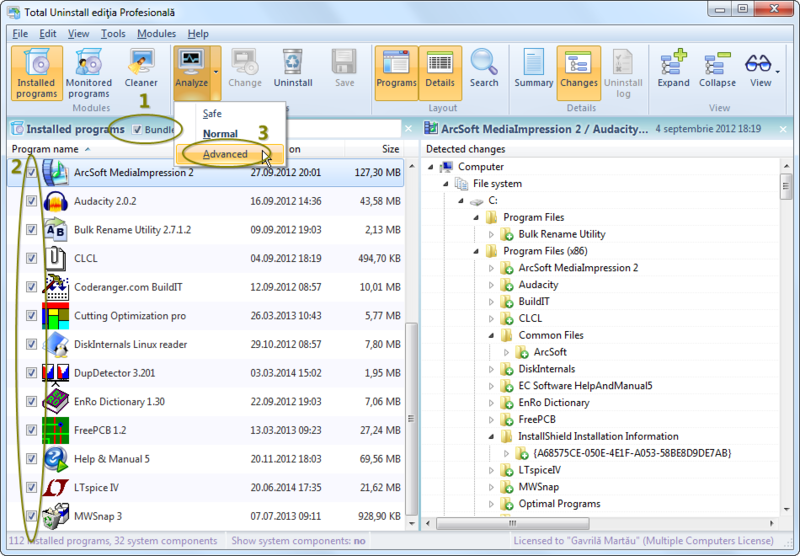 Using its powerful and advanced analysis of the installed programs functional module, you get the best possible install log and backup for the program(s) that you want to be transferred. Using its monitored programs module, you get a perfect install log and backup for the program that you want to be transferred. 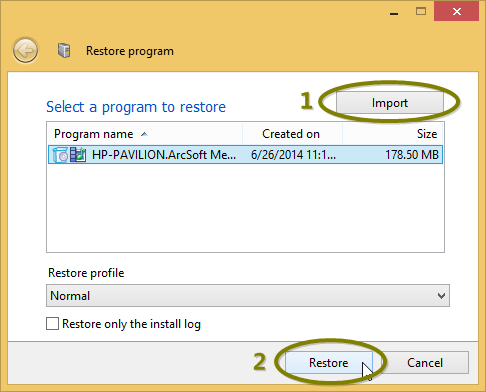 You can choose to transfer one or an entire set of programs in a bundle without extra junk. 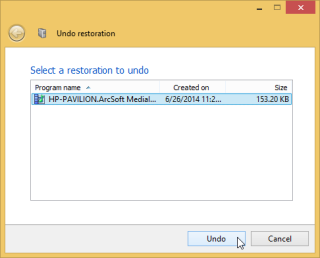 If the transfer is unsuccessful because of an incompatible program with the new system or any other reason, the undo restoration will revert everything in place in seconds. There is no short or long list of supported programs that are transferable. It is not necessary that the transferred program to be popular. If the program is compatible with the new system and is not a messy install *, the transfer will succeed. Total Uninstall is not a single-use program for migration only. 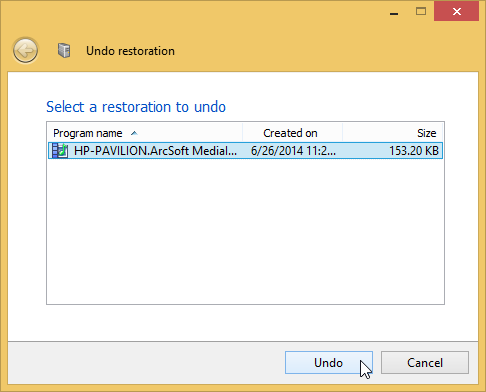 Once the transfer is finished, continue to use Total Uninstall to keep the system in shape. 1. Build the install log for the program(s) that are going to be transferred. Select only one method. 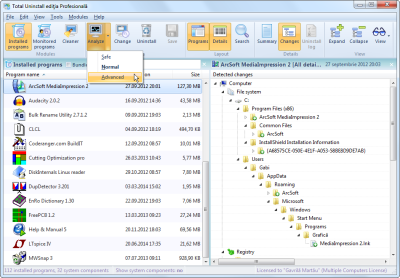 Method 1: Installed programs functional module. 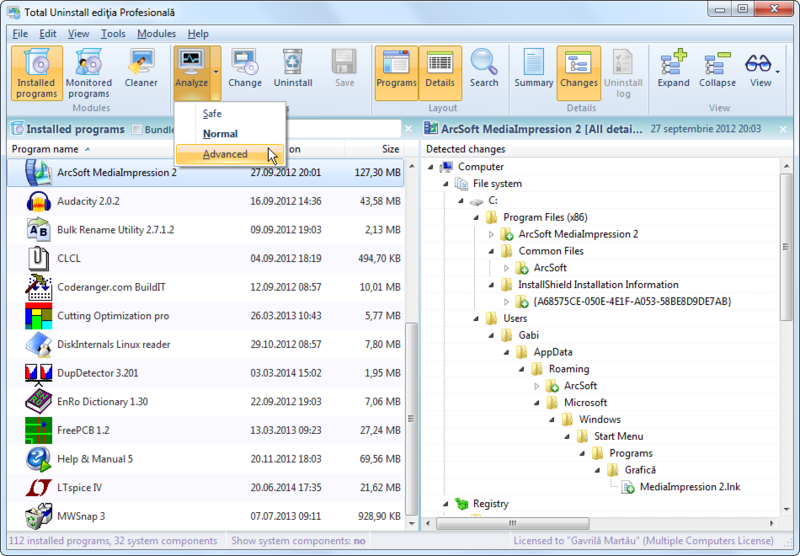 Analyze the program(s) for all associated files and registy items. For a multi-selection, select the bundle checkbox. Manually choose the "Advanced" analysis profile for the best results. 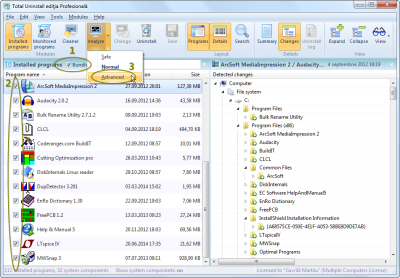 Method 2: Monitored programs functional module. Open the create backup dialog (Ctrl+B) and press Enter to create the backup. 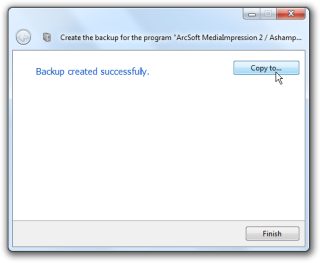 In the last screen, copy the backup to the destination PC, a shared location or a portable disk. 3. On the destination PC import the backup program and restore it. Please install Total Uninstall on the destination computer. Main menu "File"->"Restore a program from backup..."
* Microsoft Office installation is very specific for the current operating system, and it is known as non transferable in the latest version of Total Uninstall. Things could change in the future version.